Zelda II resembled the original very little. Rather than the top-down view of the previous title, Zelda II featured side scrolling areas within a larger world map. The game also incorporated a strategic combat system and more RPG elements, including an experience points system, magic spells, and more interaction with non-player characters. In this installment of the series, Link gains experience points to upgrade his attack, magic and life points by defeating enemies. He can raise these areas to a maximum of eight levels. Raising a life level will decrease the damage Link receives, raising a magic level will decrease the cost of spells, and raising an attack level will strengthen his offensive power. Link can also find Heart Containers and Magic Containers that increase his life points or magic points. 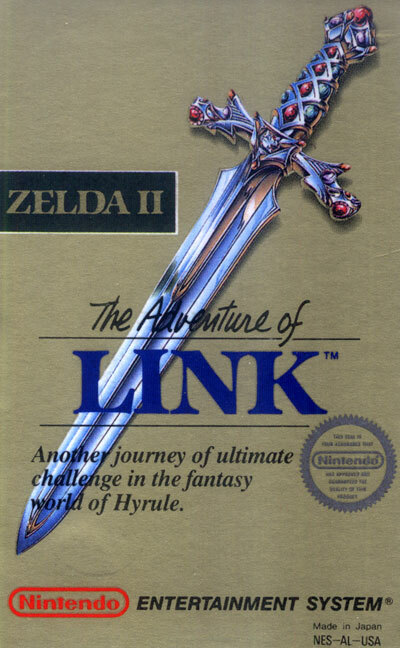 Though Heart Containers appear in other Zelda games, Zelda II is the only game in the series that allows Link to build levels. Like many other RPGs, Zelda II allows the player to fight weaker enemies to raise levels before tackling more difficult challenges. Most other games in the Zelda series only allow Link to increase his strength through new weapons, defensive items, and Heart Containers. Unlike the majority of experience systems for other RPGs, Link can lose experience by being touched by certain enemies, though he will never drop to a previous experience level.